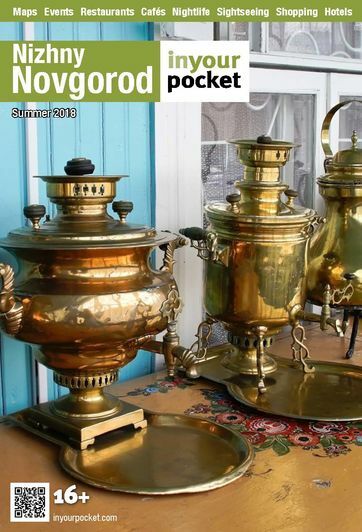 The region surrounding Nizhny Novgorod has long been famed for its artistic productivity and the range and standard of its traditional crafts. The best place to get your hands on some local souvenirs is the large grey block of a building on Bolshaya Pokrovskaya, covered in red and yellow flowers, that also houses the regional craft museum (Bol. Pokrovskaya ul. 43). If you can brave the army of matryoshki you'll find a wealth of attractive souvenirs in Nizhny's regional style, 'khokhloma', from swan-shaped serving dishes to the less traditional iPhone covers and computer mice. There's also a wide selection of knives and silver podstakanniky (metal holders for your glass of tea), embroidered linen and painted chairs. Prices vary so there's something for every budget.